After one mile, turn right (west) on to 57th Street/268th Street. The road will turn from pavement to gravel after this turn. After 0.75miles, turn left (south) on 468th Ave. The entrance to Country Acres Tree Farm will be on your right (west). Turn left (west) on to 69th Street/269th Street. After one mile, turn right (north) on to 468th Ave. 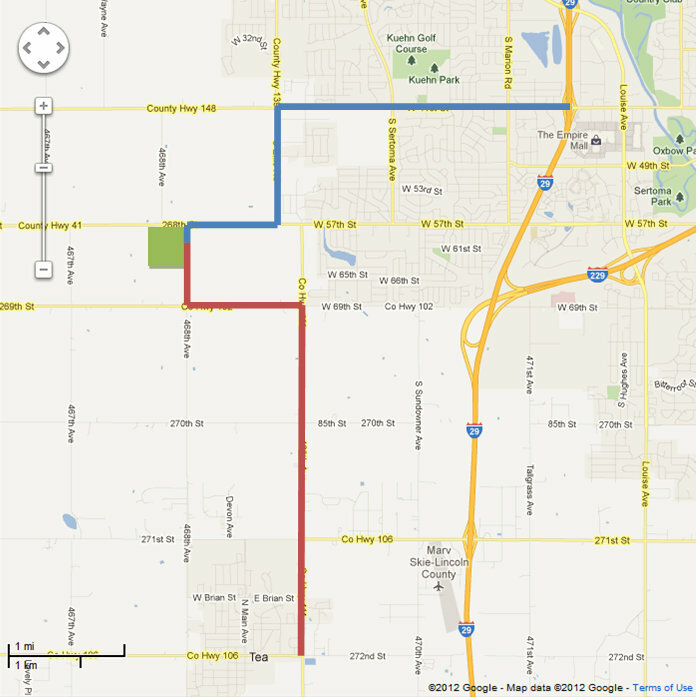 The entrance to Country Acres Tree Farm will be about 0.75 miles down 468th Ave on your left (west).